Our block sorters are a timeless educational toy. Playing with them your child will lern motor skills and train hand to eye coordination. Block sorters have been made in Poland from FSC certified beech wood. Only the blocks are painted. Base is unpainted. 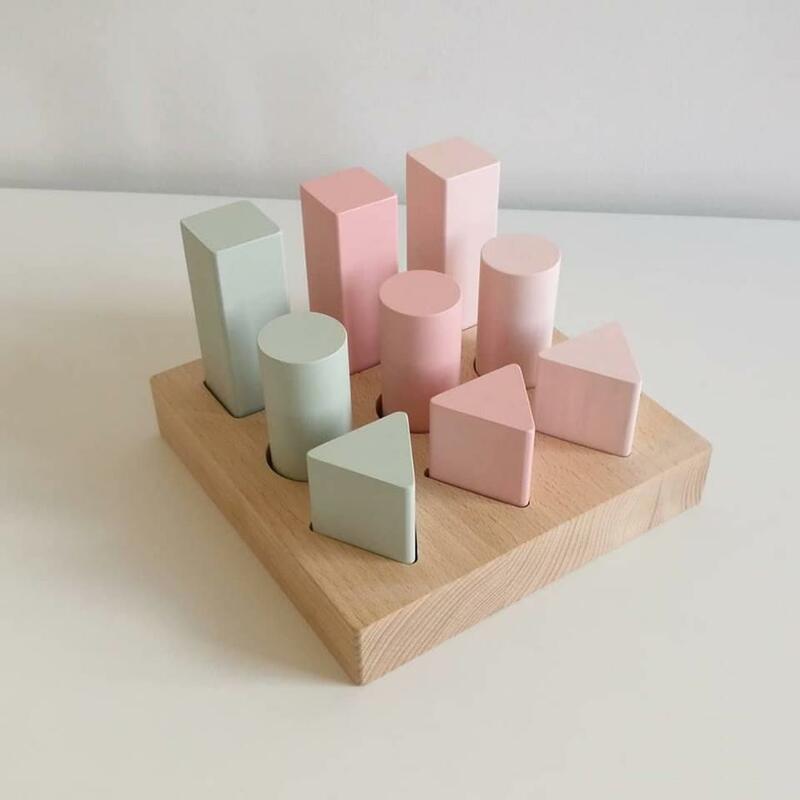 There are 9 blocks in one set and they can be painted in 3 colours like on the picture or you can choose more colours. Please leave your preferences. There are 3 sizes of blocks: 10cm, 8cm, 6cm. Block sorter comes in a cardboard box. Spot clean with damp cloth and a little bit of soap. Do not soak in water. From 5-7 working days plus shipping time. Please note our block sorters are handmade. They may vary and have little imperfections.